Classic gaming fans love emulators because they allow us to revisit beloved older games on the hardware we own now. And if you enjoy emulation on Windows Phone 8, you’re probably familiar with the work of indie developer M.k. He has already provided us with two fine emulators: Snes8x (a Super Nintendo emulator) and VBA8 (a GameBoy Advance emulator). VBA8 is great for dudes and dudettes who want to play GameBoy Advance games on their Windows Phone 8 devices, but it doesn’t run original GameBoy and GameBoy Color games. Well, now we can finally play those games thanks to M.k’s release of VGBC8, the first Windows Phone 8-specific GameBoy/GameBoy Color emulator. Read on for screenshots and our full impressions or watch the video! The original GameBoy was a monochrome (essentially black-and-white) portable gaming console that debuted back in 1989. In 1998, Nintendo followed up on the GameBoy’s massive success with the GameBoy Color. The GBC played both original GameBoy games and new titles with color graphics. VGBC8 runs both types of games. Every emulator needs to come with a quick-and-dirty ROM to make it legal, and VGBC8 is no different. The included ROM here is a black-and-white version of Pong, and you’ll want to delete it posthaste. To get more games, you’ll need to upload your own ROMs to SkyDrive, link your account to the emulator, and then individually download each game. Games can be renamed, deleted, and even pinned to the Start screen once they’re in your library. The emulator’s main menu uses a vertical orientation, and games can be played from that perspective. The original GameBoy and GameBoy Color used the same orientation, so you might prefer the authenticity it provides. But games can also be played whole holding the phone horizontally, which increases the display size and proves more comfortable on the hands. The size and transparency of the virtual controls can be adjusted in the Settings menu outside of gameplay. M.k has revamped the appearance and performance of the virtual controls in all of his emulators since we last looked at VBA8. They’re still not beautiful, but they do look and work better than before. During gameplay, tapping the edge of the screen brings up a menu that allows users to save and load at will or exit to the main menu. 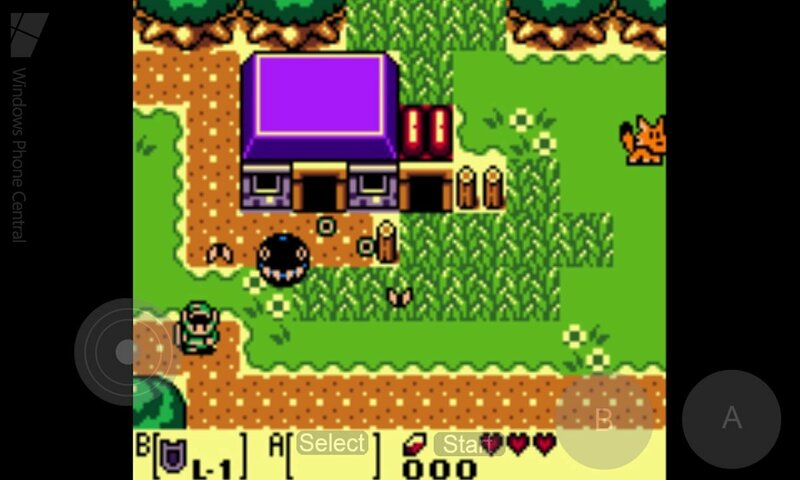 VGBC8 does a fantastic job of recreating GameBoy and GameBoy Color games on Windows Phone. I tested a variety of games, from platformers to beat-em-ups to RPGs. All ran at a great frame rate on my Lumia 920. I did experience a blank screen the first time I tried Double Dragon, but it worked fine when I returned to it later. Graphically, original GameBoy games display in black-and-white only. It would be cool if we could select from color filters or customize our own. The original green-ish GameBoy look should be an option at the very least, but many games would benefit from other color options (as they did when played with the Super GameBoy peripheral on Super Nintendo). GameBoy Color games were obviously designed with their own specific and much wider color palettes, and VGBC8 renders them perfectly. As with other console emulators, touch screens obviously can’t provide exactly the same experience as playing with physical buttons. For instance, pressing the B and A buttons simultaneously (needed for Double Dragon and some other games) requires two fingers on a touch screen. Perhaps an optional B + A button would make up for that. VGBC8 does have a clever option to enable or disable turbo button presses by tapping the phone’s camera button. Oh, and M.k plans to support the MOGA Pro Controller in all of his emulators, which should definitely make for a fantastic control experience. If you grew up in the 8-bit era or just have an interest in older games from Nintendo, Capcom, Konami, and other developers, VGBC8 will keep you busy for hours. 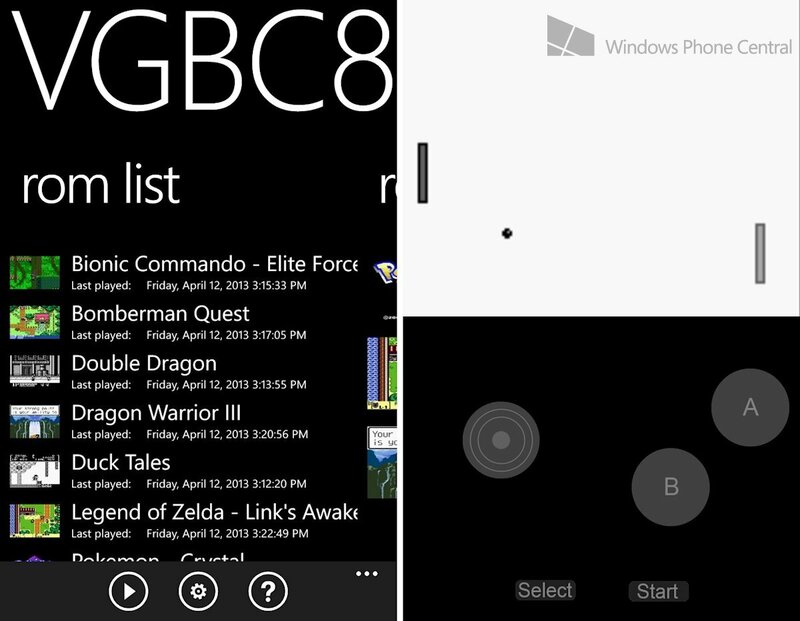 Instead of picking up just one emulator for Windows Phone 8, why not get them all? VGBC8 costs $2.49, but there is also a free demo with save states disabled. Windows Phone 8 users can grab it here at the Windows Phone Store. Thanks to Jorge for the tip!